This past Sunday marked Nowruz, or the beginning of the Persian New Year. It is observed primarily in Iran and other Middle Eastern countries, but also here in the United States (well, at least until Arizona passes a law against it). Our very own Executive Producer, Sheila Griffiths, found the time to share with me how her family marks the day. Miles: Nowruz Mobarak, Sheila! So, what is Nowruz and how does your family celebrate it? Sheila: Nowruz is rooted in Zoroastrian tradition. It is celebrated on the first day of spring and honors the renewal of life. 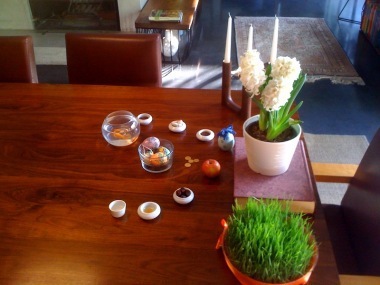 Prior to Nowruz, we set up a holiday table called the Haft-Sinn. For Persians, this is like decorating the house at Christmas time. On Nowruz, we have a special meal called Sabzi Pollow Mahi. This usually includes a big family gathering. It is also customary for the elders in our family to give the children money. Miles: That sounds like a fun custom... maybe I should start it with my elders. Which is your favorite tradition? Sheila: On the last Wednesday prior to Nowruz, it is tradition to jump over fire. This night is called Wild Fire Eve or Chahar Shanbeh Suri. The purpose of this is to ward off the evil eye for the coming year. It's always fun to see what type of fire we jump over. Miles: No doubt. I assume you spend the rest of the evening rubbing burn cream on each other? Sheila: We finish the night by eating a special noodle soup called Ash-E-Reshteh. It is by far one of my favorite Persian meals! Miles: That's saying something - you and your husband are both excellent cooks. What are some traditional dishes that you make to celebrate the New Year? Sheila: On Nowruz, we eat a traditional dish called Sabzi Pollow (green rice) with Mahi (fish). The green rice is made with spring onion, dill, parsley, cilantro, and garlic. We have fresh white fish and a smoked white fish. The side dish to this meal is Kuku. This is basically a green herb soufflé. Miles: Sounds great. Can I have some? Sheila: Yes, but watch out for the bones in the white fish. Also, the smoked white fish tastes strange to me this year but perhaps that is because I have a cold. Miles: So I hear - you've had the sniffles all week! But the show must go on, right? Miles: Tell us about your Haft-Sinn table (pictured). Sheila: The Haft-Sinn table is rich in the symbols of Iranian mythology and belief. The table represents fertility and renewal. My husband is Persian and is having a difficult time explaining any of this to me. Miles: You just had two (really cute) kids - whatever it is, it works! Miles: As Carl Weathers said in Arrested Development, "Baby, you've got a stew goin'." Miles: What's the goldfish's name? Miles: Well, you know what they say about Persian grandmothers! Okay, I'm not sure what it is, but I'm sure there's a saying. Anyway... I understand that it's customary to buy new clothes for Nowruz. Or at least that was my excuse. Are we going to see you sporting any new outfits? 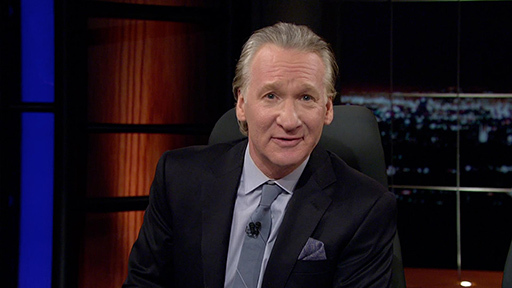 Miles: I hope I didn't just get anyone in trouble. Sorry, Reza. On a separate note, President Obama's annual Persian New Year message contained a more critical tone toward the Iranian leadership than in years past. Do you think that timing this message to coincide with Nowruz affects the way the Iranian people receive it? Sheila: Nowruz is like a mixture of Christmas and New Year to Persians. It is a day to set politics aside and enjoy your family. Miles: That sounds like code for "drinking." Count me in!